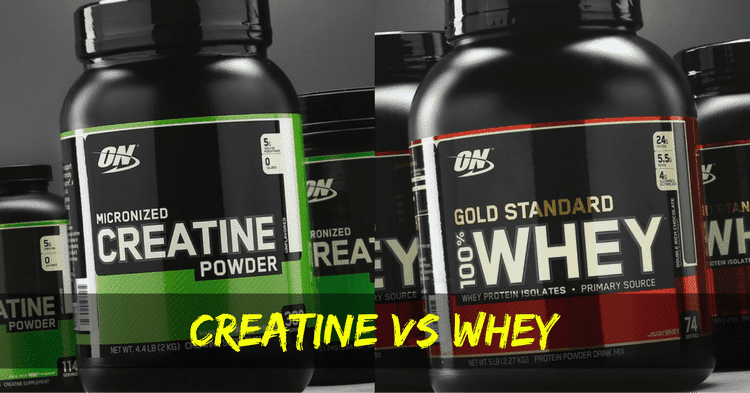 Creatine vs Whey Protein: Which One to Choose? When it comes to protein powders, it seems like there’s a new one every day that lifters swear works miracles. For most, the battle comes down to creatine vs. whey. These two protein powders each have their benefits and one might be better than the other depending on how you train. Can I Mix Creatine with Whey Powder? What If You Can Only Afford Creatine or Whey? A lot of people consider creatine a protein supplement. However, creatine is not actually a protein. While it does have many similar properties to protein cells, it does not aid in muscle cell growth in the way that protein does. 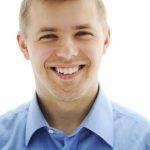 Rather, creatine is incredibly important for the energy production system. Whenever your muscle fibers contract or expand, they are using a molecule called adenosine triphosphate, or ATP. The ATP breaks down and serves as fuel for your muscles. ATP kicks in even before glucose and fat are used for energy. High-intensity exercises like HIIT will use up a lot of ATP. When you run out of ADP, your muscles won’t be able to contract anymore and fatigue will set in. ATP is only used for about the first 10 seconds of an exercise. This is why someone doing a 5k race won’t use up much ATP and instead relies mostly on glucose stores. By contrast, someone doing repetitions of intense exercises – such as practicing vertical jumps – will quickly deplete ATP stores. Contrary to common belief, creatine will NOT increase muscle mass. It will cause water to move into your muscle cells though. So, your muscles look bigger but won’t actually be any stronger. Creatine does increase energy levels though, which can help you train harder. In this indirect way, creatine can help build muscle. A lot of people recommend taking creatine as a pre-workout supplement so it can serve as energy. Yes – a dose of creatine before your workout will give you a boost. However, for creatine to really help out your workouts, your muscles need to be packed full of it. This is why many supplement makers recommend a “loading phase” where you take a high dosage of creatine for the first week. After the loading phase, you will probably be advised to take 3 to 5 grams per day. Remember you’ll need to take it consistently (even on non-training days) so creatine stockpiles are there when you need them. Most research shows a beneficial dosage to be 3-5 grams daily. Timing doesn’t matter that much so long as you are taking creatine regularly. There are some concerns about kidney damage from taking too much creatine. However, research has shown that dosages of 20 to 30 grams per day do not cause side effects. That doesn’t mean you should take this much creatine though. The research also shows that there isn’t much difference in benefits between a 5 gram dosage and 30 gram dosage. The one noticeable side effect of creatine is that it will cause your muscles to swell with water. Some people love this as it makes them look bulked up. But, it can also make you look bloated. Whey is a protein found in milk. It is made by isolating the whey proteins, drying them, and grinding them into a powder. Compared to many other sources of protein, whey is considered superior because it is a complete protein. It contains all of the essential amino acids you need. Whey is also a great source of branched-chain amino acids, or BCAAs, which are well known amongst lifters as a quick source of energy for the muscles. The BCAAs leucine directly helps build muscle. At about 3 grams of leucine per serving, no wonder whey protein is popular with builders. You could easily get all the amino acids in whey from food. However, many athletes and builders love whey because it is so convenient. Take a single dosage of whey usually provides around 20-30 grams of protein. Plus, the protein is easily digested. The body will quickly absorb about 97% of the whey protein. It is important to remember that whey is quickly absorbed. Once you take it, the whey protein will be available in your body for approximately 3 hours. This is much shorter than with some other protein powders like casein. Thus, to get the best results from whey protein, you should take it before training to promote muscle strength AND take whey after training to improve muscle synthesis. Approximately 15 minutes before your workout, take about 10-20 grams of whey. Within 30 minutes of finishing your workout, take approximately 20-40 grams of whey. Some whey supplements contain lactose. This can be a problem with people who are lactose intolerant. Remember that even people who drink milk can sometimes react to too much lactose. Thus, high dosages of whey can cause side effects like bloating or indigestion. There are no negative effects or risks of mixing creatine and whey powder together. Since the daily timing of creatine is not so important, you can safely take it with your whey powder (which is ideally before and after training). You’ll even find plenty of protein supplements that mix creatine and whey powders. Just make sure that the supplement has at least 2 grams of creatine in it. Take it before and after training to get a full dosage of creatine in. Don’t forget creatine for off-days! Remember that you should take creatine daily to get its benefits. This is not the case with whey. So, if you are taking a mix of creatine and whey, you’ll want to get a creatine-only supplement to take on non-training days. If you are expecting a clear “winner” in the battle of creatine vs. whey, you’ll be disappointed. These two supplements serve completely different goals. You already eat enough protein and taking whey isn’t necessary. You are on a low-carb diet and feeling fatigued. You just want to have big muscles, even if the bulk only comes from water. You aren’t getting enough protein to support your training (which is approximately 0.7 to 1.3 grams of protein per pound of body weight). You regularly suffer from muscle soreness after training. Because it’s hard to get enough creatine through food alone, creatine is usually the better choice for most people. Just remember that creatine and whey are truly different supplements so shouldn’t be compared like with most protein supplements. Olympic Barbells vs Standard Barbells: Which One Should You Choose? Great. You can use the combination of creatine and protein for the better results. I myself use creatine as a pre-workout supplement so I can get a little power booster and post workout I prefer whey for faster muscle recovery.